Tag Archive | "Work Study"
You can see the light at the end of the tunnel that is your college career. You have everything you need to finish: your class schedule, motivation and sweet spring break plans. You have everything except enough cash to get you through the school year. For many students, holding a traditional full- or part-time job is difficult to manage with their ever-changing class and extra-curricular activity schedules. If you know where to look, though, there are plenty of job opportunities that can fit into your hectic lifestyle and earn you enough money to fund the necessities, such as books and rent, and maybe even a few well-earned spring break excursions. If you have excellent typing skills and a decent tolerance for repetition, online transcription may be for you. The work is straight-forward: listen to an audio file (and then listen to it a few more times) and then type exactly what you hear in a provided format. Transcription companies such as TranscribeMe, Rev and Quicktate hire new employees who pass a skills test. You generally only need a computer and high-speed internet connection to work and you can pick up as much or as little work as you can handle. Companies usually pay between $15 and $25 per audio hour (your actual pay per hour depends on your efficiency). Taking online surveys is probably not going to cover all of your expenses, but it is an easy way to earn a little extra money in your free time. Money Saving Mom links to six legitimate survey companies on her website that you can check out to help you earn some cash. There are a plethora of online sites that connect skilled workers to employers. For example, Handy pairs cleaners (at $22/hr) and handymen (or women) (at $45/hr) with jobs, allowing workers to chose the jobs and schedule. Likewise, websites like Zirtual and TaskRabbit connect people in need of virtual (or at times, in person) assistants for specific tasks. If you’re an aspiring entrepreneur, a company like Amway, the 26th largest company in the U.S., provides a framework to earn money while honing online sales and other creative marketing skills. If you’re hoping to work in a creative field, there is no better way to earn money while building your portfolio than freelancing. While freelancing has a longer startup time than something like online transcription, the potential career payoff is much greater. Freelancing is not just for writers, either; websites like Upwork list freelance opportunities for everything from graphic designers to editors to news producers. If you’re looking for something that won’t tax your brain but will earn you a little extra money, many college students sell plasma for up to $70 per week. The process, a quick physical and then a nurse drawing blood, takes less than two hours and can be done safely two times a week. Most students have an average of five classes. Each of those classes take up approximately three hours each week. In addition to those 15 hours a student spends in the classroom, he or she is expected to study for up to an additional 45 hours that week. 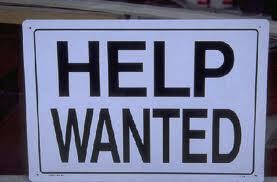 Part-time jobs and internships can require anywhere from 10 to 20 hours a week. If you do the math (don’t worry – I’ll do it for you considering you’re probably exhausted), that means a full- time student (with a job and internship) should be working, studying or in classes 14 hours of every day. Eating? Sleeping? Socializing? Who needs ‘em! Completely overrated, right? Wrong! We’ve gathered some survival tips for the 21st century student who has to do it all but still wants a life. Whether you’re a to-do list kind of person or you prefer keep everything on your phone – a schedule is key. And sticking to that schedule is even more important. Make sure that the most important activities or assignments are put at the top of the list. Sometimes getting everything done is not possible. But if you attempt to get it all done by jumping from thing to thing, you wind up in a tailspin and nothing gets accomplished. So, schedule your time realistically and stick to that schedule! If you are one of those students with a job and internship, being honest with your professors and bosses can be invaluable. Going to see a professor after class or during their office hours to discuss your time limitations can go a long way. Making sure that all the major players in your life know about the others may earn you the benefit of the doubt when things go wrong. Because let’s face it, college life is bound to have some bumps. You may really want to throw your homework in the air on a Friday or Saturday and scream “YOLO!” Yet, we all know that when Sunday night rolls around, you will regret putting off writing that ten page paper or preparing an important presentation. Making the decision to pass on fun can difficult, but it sometimes has to be done. Finally, the most important tip for anyone who has pulled multiple all-nighters in a row: SLEEP! If you find that you are done with all your tasks that day at 9pm, curl up with a good book, catch up on a show, and then promptly pass out! Those nights where you finish early are few and far between. Cherish them! College is just as much about budgeting your time as it is budgeting for Ramen noodles and weekend excursions with your friends. As you struggle to get through these college years, remember that you are working towards a goal – a rewarding career path. Keep going to class, work hard, and you’ll get there before you know it. Check out the rest of our site for more tips that can help as you make your way through your own college years. Today’s guest article comes from Erica Moss. She is the social brand manager for Semester Online, a first-of-its-kind program offering for-credit courses from the nation’s top colleges and universities — online. When she’s not writing or tweeting, she enjoys TV, pop culture and cured meats. 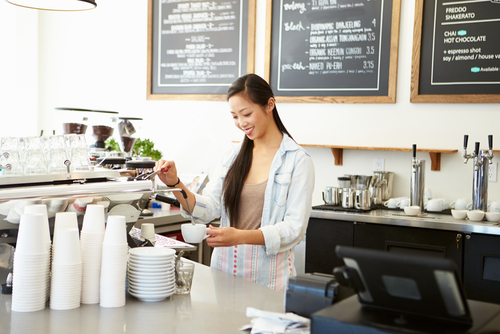 Retail and hospitality are often the go-to positions for part-time or temporary job seekers. Many people consider these jobs a necessary means to an end, but working in retail or in the restaurant or bar business can have an additional perk: it looks great on a resume. If you have ever been in a bar, restaurant or retail store during a busy time—Saturday evening or the day after Thanksgiving, for example—you may wonder how those employees keep their cool when their work space is exploding into chaos around them. Working retail and hospitality helps you develop the ability to work well under pressure, to multitask, and to think quickly on your feet. If the career you want requires you to deal with people or complete multiple assignments under a strict deadline, your retail job can develop the skills that can help you get ahead. Some students have an area of expertise that they can use to help other students excel. Whether you’re great at math, music or foreign languages, tutoring can be a great way to earn extra cash while helping other students get better grades. You can tutor students of any age, grade, or skill level, and you can often set your own hours—an added job perk, since you can adjust your schedule when it comes time for midterms and finals. Tutoring is an ideal position for students who want to convey that they have a good grasp of a subject or skill to potential employers; so much so that they are able to simplify complex ideas for others. Students can look for tutoring jobs through campus newspapers, where parents in nearby neighborhoods often post listings seeking tutors for their children. On-campus tutoring centers are also an option, and usually hire students every quarter. Work-study positions are only available to students who qualify, and can only be offered at schools that participate in the Federal Work Study Program. For those students who do qualify, however, it can be great work experience with added benefits for the student. If your financial aid package includes work study, you can have financial aid applicable to your tuition, living expenses, and student loans, while building connections with professionals in your intended field. One of the goals of work study is that a job position be closely tied with your area of study, so it is a great way to gain relevant experience. Work study programs offer positions both on and off campus, and most off-campus positions are with non-profit or government programs. The added benefit of a work study position really lies with the student: these positions allow for a portion of your income to go towards financing your education, and offer flexible schedules so students can keep up with course work. With current college students being part of what is known as the “Internet generation,” it’s no surprise that more and more professors are using online lectures, podcasts and test-taking software. With so many professors relying on technology to lead lectures and administer assignments, it’s no surprise that when computers fail, there must be an immediate solution available. This is where tech support comes in. With minimal training, plenty of computer science majors or other tech-minded students can land a job in tech support. On-campus tech support is a great part-time job that can build your computer skills and help you to forge connections with professionals in your industry. Employers will value a candidate that has extensive experience solving technological issues, and computer science majors will benefit from hands-on experience with new technology. Volunteer work can come in many forms, whether it’s working a couple nights a week in a soup kitchen or overseeing a large non-profit organization. While it may seem that your unpaid volunteering is just a good deed, it also helps you build skills you can use in your career. Volunteering can help develop high-level organizational skills, people skills and an even temper. Many employers appreciate a potential employee who is concerned about her community. Volunteer work is an ideal opportunity for students whose class schedules leave little time available for a part-time job. Employers like to see that a prospective employee is always looking to gain experience—meaning your good deed may just pay out in the end. When you list your volunteer position on your resume, however, be wary of any employers that may be turned off by the organization. If your position is with a very religious a very political organization, it may not be a wise choice to include it in your resume. While maintaining your course work is important, never underestimate the value of experience. Employers understand that with a recent economic downturn, current students and recent college graduates may not have a resume packed with relevant experience. These part-time positions will help develop basic skills—like customer service, computer skills and organizational skills—that can translate well to any resume. Be careful to parse your skill set and tailor your resume with those skills your future employer wants to see. While in college, part-time jobs can be more than just a source of extra cash; they can help you build your career in creative and interesting ways. Today’s guest article is provided by Stacy Rost. She worked in several areas mentioned above during her college years. One of her most rewarding part time jobs was tutoring prospective computer technicians for their A+ Certification exams. Unfortunately, the stereotype of the “broke college student” exists for a reason. Tuition, textbooks, housing, and meals can add up to an extortionate amount, and between attending classes, studying for exams, and participating in extra-curricular activities, many college students find it difficult to hold a full-time job while they earn their degrees. An internship can be a great way to gain experience in your field – but a lot of them are unpaid. Even students working part-time jobs may find themselves in need of some supplemental income. Paid Marketing Research is a quick, easy way for college students to earn some extra spending money and have fun doing so. 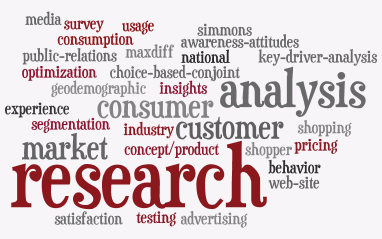 Marketing Research studies are perfect for students with busy schedules and irregular hours, or anyone who is looking to supplement his or her income without a long-term commitment. Focus Pointe Global, a leading national marketing research company, offers a variety of paid focus groups and interviews that generally take between 1 and 3 hours to complete and compensate you generously for your time. Companies know that 18-25 year olds are on the cutting edge of technology, social media, fashion, and pop culture trends – and they are highly interested in your opinions! Paid marketing research allows you to help make improvements to the products and services you currently use and influence the direction a company will take in the future. Whether it’s an unaired ABC TV pilot, a Bank of America credit card for students, or the next generation of iPhone, major companies want to hear what you have to say about them! Your contributions to these discussions are highly valuable, so participants are always paid for their time – usually between $50 and $250 depending on the method and length of the study. Focus Pointe Global engages young consumers in these research projects that then help companies identify and solve their marketing problems. This research is conducted in a variety of ways, ranging from in-person methods (like focus groups and one-on-one interviews) to online methods (like surveys and message boards). All of the information you provide during a study is kept completely confidential and used for research purposes only. Companies will not try to sell you anything during a focus group – they only want to know what is on consumers’ minds. Focus Pointe Global has facilities conveniently located in 8 major college cities: Atlanta, Boston, Chicago, Dallas, Los Angeles, New York, Philadelphia, and San Francisco. Online and telephone-based interviews are open to people throughout the United States. Becoming a member is free and takes only a few minutes of your time. Click here to join and participate in upcoming paid studies in your area. There are a variety of summer jobs that college students take on to help pay for their education. You can work as a camp counselor or an intern at a law firm. No matter what job you choose to do you can come out of the experience gaining more than just a few bucks to help cover the cost of your summer tuition. If you are going to work hard over the summer, you will want to make the most of the situation. The goal for most summer jobs is to earn money to cover the expenses during the school year, but if you do not set up a solid earnings goal, it is easy to squander the money you make over the summer. If you know how much you need to make during the summer, you can spend the extra money you make without worrying or feeling guilty. Decide how much money you need to save to cover your expenses over the school year. For example, you may want to cover all of your tuition and books for both semesters over the summer. Simply divide that number by the number of weeks you are working over the summer. Once you put that amount in the bank, you can use the rest to pay for new clothes or new video games. It will make budgeting for the rest of the year much easier. Each job is a chance for you to gain references and to build your connections. If you are working with a variety of other college students such as at a camp, you are widening your social network. The people you are working for and the people you are working with are all people you should include in your network when it comes to finding a job. Although you may be tempted to blow off some of your shifts or show up late, take this job seriously and you will build good contacts when it is time to graduate. You may also be able to qualify for scholarships and tuition reimbursement through your summer job. It may also turn into a possible part-time job through the school year, even through telecommuting. Not every summer job is going to directly relate to the career field and the major you are in. However, you can look for ways to apply the things you are learning in school to your job. Additionally you can look for ways to take what you learn at work over the summer and use those experiences to write up your papers or pull your examples from. You can take your public relations skills and apply them to a summer marketing campaign for the small business you are working at. If you are interested in living in a specific city after graduation you may want to use your summer job as a chance to check out the city or state to make sure it is a good fit. It will also help you to build a network of contacts in the city you are interested in. Another option is to choose a job where you are going to college. This can turn into a solid job over the school year, which can also turn into a better position once you graduate. Today’s guest article comes from Audrey Porterman. She is the main researcher and writer for doctoralprograms.org. Her most recent accomplishment includes graduating from Ohio State, with a degree in business management. Her current focus for the site involves a doctorate in education and doctoral degrees online. Once that last final is completed, many students head home for a summer’s worth of fun along with the pressing need to find a summer job. Whether earning money to help pay for tuition, housing, or living expenses, students need a summer job to make the most of their time out of the classroom. On the other hand, there are many seasonal jobs and temporary positions that rely upon college students to fill their staffing needs. College students looking for work should check out the following forms of employment to raise cash for college and to pay for their summer fun! Picking up a waiter or waitressing job is a great way to make fast cash and meet people. Be sure to check with places that have outdoor patios that are just opening for the season; these types of restaurants or bars typically need extra staff to wait on all the extra tables. If you already have serving experience, check with some higher end establishments; they may need summer help and the tips tend to be better than at most chain restaurants. Be sure to check for summer work at your local park district. Most communities have park districts that hire college students to work their summer recreational camps. Typically, the park district looks for college-age instructors that can teach arts and crafts, tumbling, or tennis. Summer is prime time for most towns and college kids are always needed to mow the grass around the parks or other public properties. College students often work for the town performing painting tasks or helping the regular maintenance staff with summer projects. If you like to get hot, a job working for a landscape crew is just the thing. It tends to be physical work, but most landscaping companies take on extra help for the summer season. Landscape crews perform everything from mowing lawns to trimming trees to moving earth. Cleaning people’s pools is one way to get poolside over the summer. Not terribly demanding and lucrative if you can round up enough pools, pool maintenance is a seasonal job that often relies on college students to see it accomplished. Check with stores that sell pools or pool supplies to see if opportunities exist in your area. If you live near a public pool or beach and have the proper certification, being a lifeguard is a rewarding experience that many college age students enjoy. A responsible position, it is, nevertheless, fun to be near the sand and surf on those hot summer days. Libraries often run summer reading programs that rely on additional staff. Libraries are usually looking for shelvers and would probably be open to supplying work to a willing college student on his or her breaks. If you have a good relationship with your old high school or primary school, there may be work to be had. Summer is a time for special projects and school districts regularly hire college students to help out in the office, assist the maintenance staff with projects like painting, or to manage younger students who are also working in some capacity over the summer. Specialty ice cream shops boom during the summer months. College students can often find part time employment making banana splits and serving up hot fudge sundaes. It might not pay for Harvard, but it is a great place to stay cool and make some extra cash. If you enjoy working outdoors and getting a lot of sunshine and exercise, a job as a golf caddy is a great seasonal job. Check with your local golf course or nearby country clubs to see if you can help out for the summer as a caddy or in some other working capacity. Check with a temporary agency to gain office experience. Since today’s college students are often equipped with great computer skills, there is a serious likelihood that finding a temporary office job will be easy—especially if you have access to a large city. Running a copy machine and answering phones might not be a dream job, but some temp jobs are interesting and pay better than the fast food counters. Ok—it may seem high school, but many families are prepared to pay more for a college student. Lots of working parents rely on summer babysitters to help meet their childcare needs when the kids are out of school. Check with your mom—she probably knows who needs a sitter! In many cities, concert venues are hot spots during the summer. College students can often find work as parking attendants, ticket takers, or concession workers. You’ll be busy, but you can still hear the music and meet lots of people. Making pizza may not seem glamorous, but pizza places do lots of business, particularly during the summer months. Finding kitchen work or as a delivery driver is often easy. If the place likes you, they’ll often take you back on subsequent breaks, too. Seasonal amusement parks and water parks rely heavily on college staff to meet their staffing needs. You might be running a merry-go-round or selling cotton candy, but you can certainly count on a pleasant environment and a steady pay check. If you’re planning for a healthcare career, it pays to check with local hospitals to see if they have any need for a seasonal employee. College students are sometimes hired to transport patients, work in the cafeteria, or assist in one of the offices. Fast food chains are always hiring and a college student, especially one with prior experience, may be a welcome addition to a busy counter. It may not be a dream job, but it is a reliable way to earn money and gain work experience. The mall isn’t for everyone, but if you want a job indoors, you’re likely to find something by submitting your application to any store with an opening. Mall jobs usually involve cashiering, stocking, and performing basic customer service roles. If you land a job at a fashion store, you may be allowed a discount when you shop! Garden centers are popular places to find summer work. As a seasonal venue, these establishments generally rely on seasonal workers. You’ll get to know plants and probably need sun block, but you’ll meet people and earn a decent pay check. If you want business experience, it doesn’t hurt to seek a summer job in a mailroom. You’ll gain office experience and get to witness how businesses operate. You may be living at the copy machine or making deliveries to other offices, but you’ll earn better pay than at many other seasonal venues. 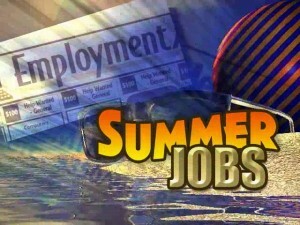 These are just a few ideas to consider for summer employment. Ask yourself where you’d like to work; fill out an application and don’t be afraid to go after that job. You might be pleasantly surprised. Today’s guest article is provided by Hayley Spencer on behalf of EasyFinance.com. Hayley is a financial expert who offers advice and tips to students. We are pleased to have her contributions on CheapScholar.org. Many personal finance sites targeted to college students will purvey endless, though no less sound, advice on saving money. At some point, however, there’s only so much money you can save. Sometimes you need to actually make money. Now you may be thinking, I hardly have enough time to study, much less to go out there and make money. Well, think again. With a little ingenuity, you can make a few extra bucks here and there to make ends meet. Here are a few ideas that helped me when I was in college. 1. Be a test subject in on- or off-campus medical/psychological studies. This is one of the easiest ways, bar none, to make substantial amounts of money quickly. If you are attending a university with a medical school, then it’s highly likely that you’ll have plenty of opportunities to participate as a test subject. I know it sounds sort of scary to be a guinea pig, but most of the time these studies involve surveys, taking games, or spending some time in an fMRI machine. And almost all of these studies compensate handsomely. Check your local or college newspaper—they’re usually listed in the back along with the classifieds. 2. Tutor high school or fellow college students. Tutoring local students, whether in college or in high school, is another fantastic way of making money while not exerting a ton of effort. The best part about tutoring is that, when you tutor a subject, you’ll in turn learn that much more about the subject you are teaching yourself. Another great aspect of tutoring is that it commands top dollar, especially among high school students for subjects like SAT test prep. You can often ask for $20 an hour or more, depending on where you live. 3. Sell all that extra stuff you don’t need lying around in your dorm room on Craigslist. Most college students are pack rats in one way or another, and it’s highly likely that you brought or bought a lot of stuff from home that you’ve found does not have any use in your tiny dorm room. Try decluttering and simplifying by selling items on sites like eBay and Craigslist. If you aren’t that attached to textbooks from last year or last semester, consider getting rid of them on Amazon and other similar sites. You can also offer items for sale to others living in your dorm or school, which avoids the hassle of shipping. This idea won’t necessarily make you a ton of money, but it’ll bring a bit of extra cash when it’s most needed. 4. Look into on-campus, part-time jobs. If all else fails, getting an actual job may just do the trick. Of course, getting a part-time job off-campus can be tricky and time consuming, especially if it’s in the service industry. On the other hand, most universities offer plenty of job opportunities for students who are eager to work. The best part about on-campus jobs is that they are incredibly flexible. You often can get away with working twelve hours or less a week—just enough time to not interfere with your studying or social schedule, but enough time to make some extra cash. Of course, the main object of attending a university is to learn and to develop personally, not to make money. But college students the world over know that it can be difficult to make do with what our loans or our families have provided us. Sometimes we just need a bit more to make it through the month. Hopefully these ideas will help others as much as they helped me. Good luck! Pell Grants, Stafford Loans, Perkins Loans — though they help you pay your way through school, the jumble of federal financial aid programs can be a bit too dense to understand. But considering that funding your post-secondary education may be one of the most important and expensive undertakings you commit to, understanding is necessary. We try and break it down on our MSW Financial Aid section of our website for our students, and we encourage you to share with your students as well. If you are student, look for these resources on your school’s webpage! Luckily, figuring this out doesn’t have to be a maze of numbers and esoteric terms. Here is a simple breakdown of the six most common kinds of financial aid provided by the U.S. government, what they mean to you and how they can work for you. Named after U.S. Senator Claiborne Pell of Rhode Island, Pell Grants are need-based aid to low and middle-income students pursuing their first bachelor’s degree. Being grants, they do not need to be repaid. Maxing out at $5,550 (though recent legislation may reduce that to amount to $4,705), the amount awarded fluctuates according to cost of attendance and family finances. The largest source of federal grants to undergraduates, Pell Grants currently help about 5.4 million students attend school each year. Federal Supplemental Educational Opportunity Grants (FSEOG) are similar to Pell Grants in that they are also need-based aid to low-income students seeking their first bachelor’s degree, but they differ in that a FSEOG is not awarded directly to students by the federal government, but by their attending academic institution. The federal government gives FSEOG funding to colleges and universities, who in turn divvy it out to students. 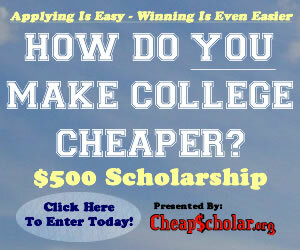 Capped at $4,000 a year, the amount received by a student is determined by his or her college. Both the Leveraging Educational Assistance Partnership (LEAP) Grant and the Special LEAP (SLEAP) Grant are similar to other federal grants, except they provide federal funding to state governments, who then award the grants to students at their discretion. (If you recently took your SATs: LEAP/SLEAP are to state governments as the FSEOG is to academic institutions.) Capped at $5,000 per school year, both LEAP and SLEAP can take the form of either grants or work-study opportunities in community service. 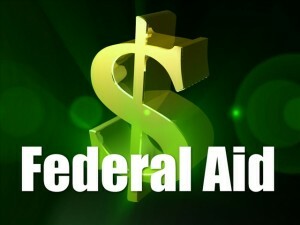 Direct Stafford Loans are funds lent to students directly from the federal government and named after U.S. Senator Robert Stafford (hence the loan’s name). Though the loan is from the federal government, the amount is decided by the school. Because the loans are borrowed directly from the U.S. Treasury, Direct Stafford Loans typically have interest rates that are much lower than loans received from private banks. An additional bonus is that Direct Stafford Loans can be consolidated for more convenient payment and possibly even lower interest rates. 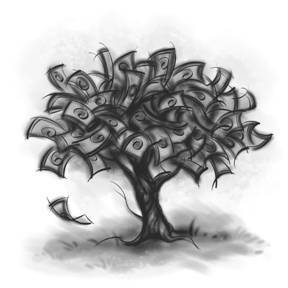 Subsidized Direct Loans do not accrue interest while the student is enrolled, but are only available to those who demonstrate financial need. Unsubsidized Direct Stafford Loans, on the other hand, are not need-based but do begin collecting interest immediately. For a detailed breakdown on Stafford Loan interest rates and loan limits, visit the Federal Student Aid website. Named after Representative Carl D. Perkins, the Perkins Loan is lent by the academic institution, though with funds from the federal government. Capped per year at $5,500 for undergraduate students and $8,000 for graduate students, the amount awarded is also determined by the attending school. Reserved for those in extreme financial need, the Perkins Loan is fixed at a low interest rate of only 5%. Cancellations of the loan are also possible through teaching at a high–needs school or volunteering in the Peace Corps. Work–Study differs from other forms of financial aid as it is neither a grant nor a loan but a need-based employment opportunity with wages paid by the federal government. Funds for Work-Study are given by the federal government to schools, who administer the program, dictating both the hours and wages (though they must abide by federal minimum wage standards). Students involved in Work-Study typically work on-campus, though employment with non-profit organizations and (rarely) for-profit businesses are also possible. Applying to each of the programs listed above is as simple as filling out your Free Application for Federal Student Aid (FAFSA) — but don’t stop there: Other aid, such as subject-specific grants (like the Science & Mathematics Access to Retain Talent Grant and the Teacher Education Assistance for College and Higher Education Grant), state government aid and private scholarships are also available. Speak to your school’s financial aid office to determine all of the opportunities available to you.